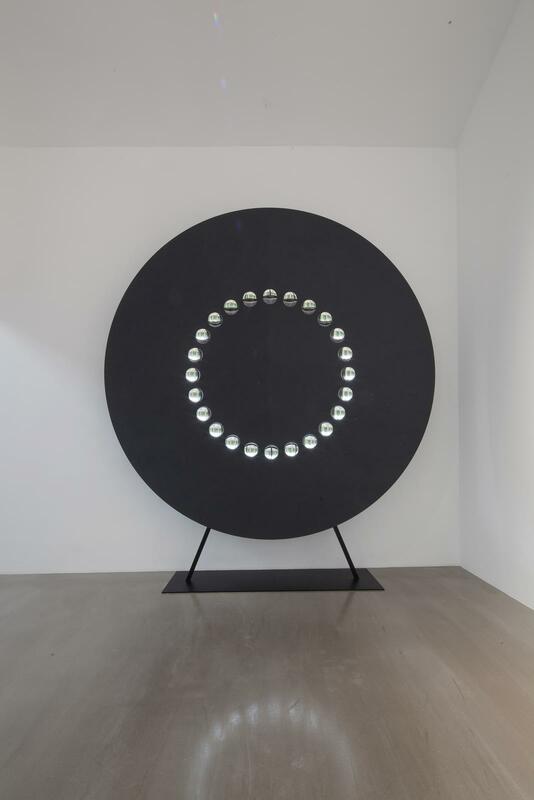 Twenty-four glass spheres are set into a large black circle and integrated into a window. 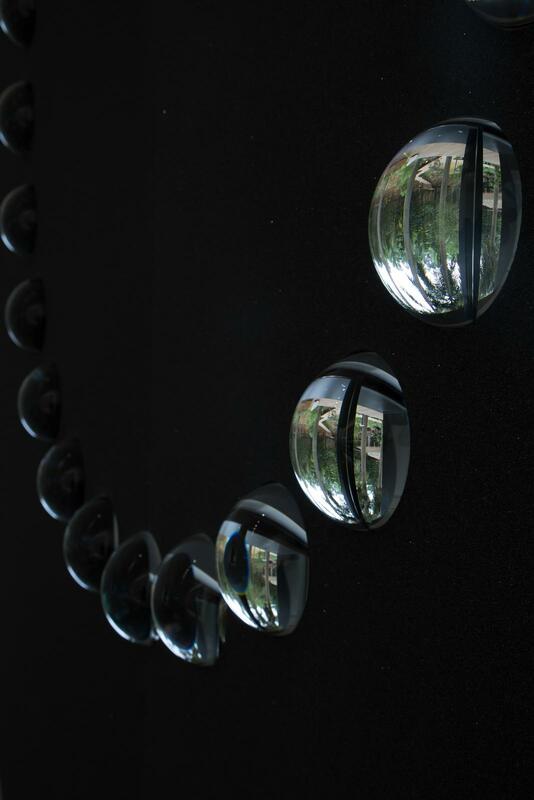 Each sphere serves as an optical device, offering visitors distorted and inverted views of the environment beyond the museum walls. The circular field into which the spheres are set is coated with silicon carbide dust, the same material used in sandpaper, and scintillates as the viewer moves about it.